Blooming gorgeous inspiration for your wedding day. Forget the traditional 'bride's bouquet' and check out these gorgeous ways to incorporate florals into your wedding day! So throw that bouquet far behind you and take some inspo from this gorgeous shoot! 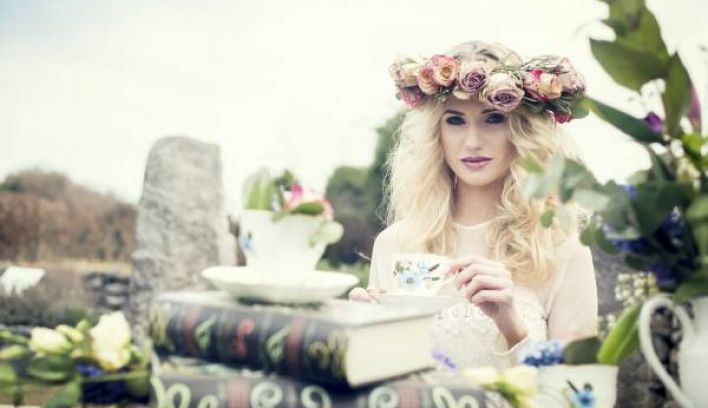 Floral headdresses are becoming increasingly popular, we're seeing more and more boho-chic brides! - which we LOVE here at Confetti HQ! Or why not be creative and put some pretty posies into delicate tea cups and vases to give a more vintage feel to the day? We love this sweet flower pinned to the back of the dress. It just adds that little something extra to a plain wedding gown. Of course, we're not forgetting the traditional bouquet altogether! Throw structure out the window and go for a more loosely put together bouquet with lots of foliage, to create a more rustic look. And if you're looking for something non-traditional altogether (and INSANELY cool!) check out this amazing floral parasol! 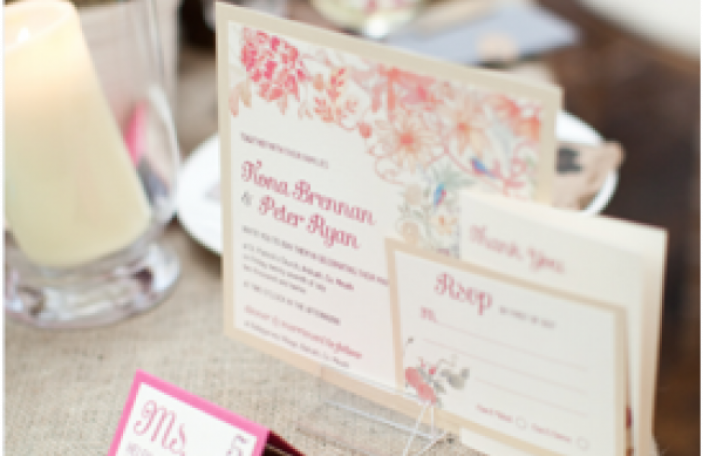 We are loving this idea, it's sure to stand out and have your guests oohing and aahing all day long! Although, we don't recommend you use it to shield yourself from the Irish weather! So, if anyone needs us, we'll be outside scavenging for fabulous blooms for our incredible creations that we're definitely going to make. And by incredible creations, we mean daisy chains. -Obvs!